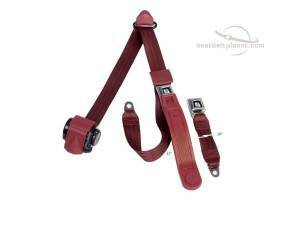 Description: Available in 32 different webbing colors, this lap and shoulder belt is equipped with an end release buckle. 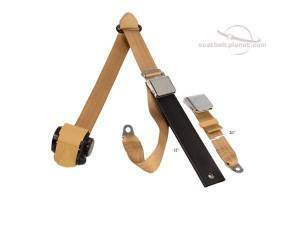 Customize this seat belt online at SeatbeltPlanet! 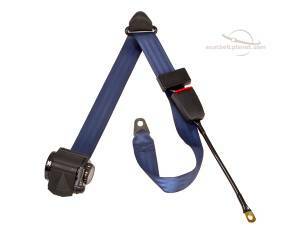 Description: Available with an all metal starburst or GM logo buckle, this 3-point seat belt comes in a variety of webbing colors. Shop this popular belt at SeatbeltPlanet. Description: Buy a 3 point retractable lap & shoulder seat belt for your vehicle today! 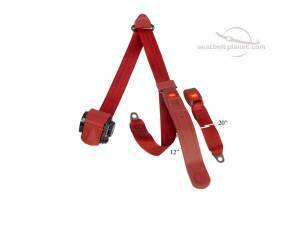 This belt features a lift-latch buckle and comes in your choice of color. 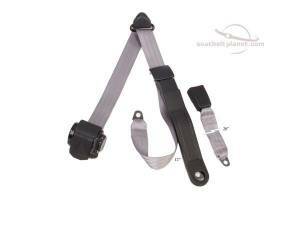 Description: Produced with a black retractor and shoulder loop covers, this 3-point seat belt is an ideal replacement part. Shop this easy-to-install belt online today!